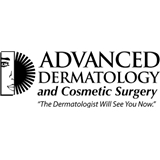 Advanced Dermatology and Cosmetic Surgery (Fort Myers) - Book Appointment Online! Advanced Dermatology and Cosmetic Surgery, Greater Washington Dermatology and Capital Dermatology offer comprehensive dermatologic services including medical, surgical, and cosmetic dermatologic care for patients of all ages from pediatric to geriatric, in our offices, and in many of the area's hospitals and nursing facilities. Our doctors are board certified and have been trained at the nation's top institutions. They remain at the forefront of dermatology by participating in continuing medical education and by teaching medical students, physician assistant students, and medical residents. The practice also offers educational services throughout the community. Our doctors and our staff feel that quality care depends upon both personal and professional excellence. Our goal is to provide superb dermatologic care in a comfortable, caring setting, in all our many offices. At this link you will find access to four Maryland offices (Rockville, Olney, Bethesda & Annapolis) and in our Florida location in Ft. Myers.